Choosing the correct developer for your WordPress web development needs is extremely important. 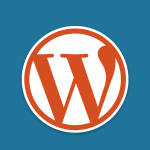 There are hundreds of different ways that developers put together WordPress themes. Its takes experience, knowledge of WordPress capabilities, best practices and most importantly – consideration for both visitor user experience and administrator user experience. My specialty is developing fully customized WordPress themes from PSDs or existing HTML websites. If you have a theme you would like me to develop, please contact me for a quote. Sometimes what clients need is a truly custom version of WordPress. In this case they may need to modify or add in custom WordPress plugins. Please contact me for help modifying or adding WordPress plugins.